Too often, unused prescription drugs find their way into the wrong hands. That’s dangerous and often tragic. That’s why it was great to see thousands of folks from across the country clean out their medicine cabinets and turn in – safely and anonymously – a record amount of prescription drugs. 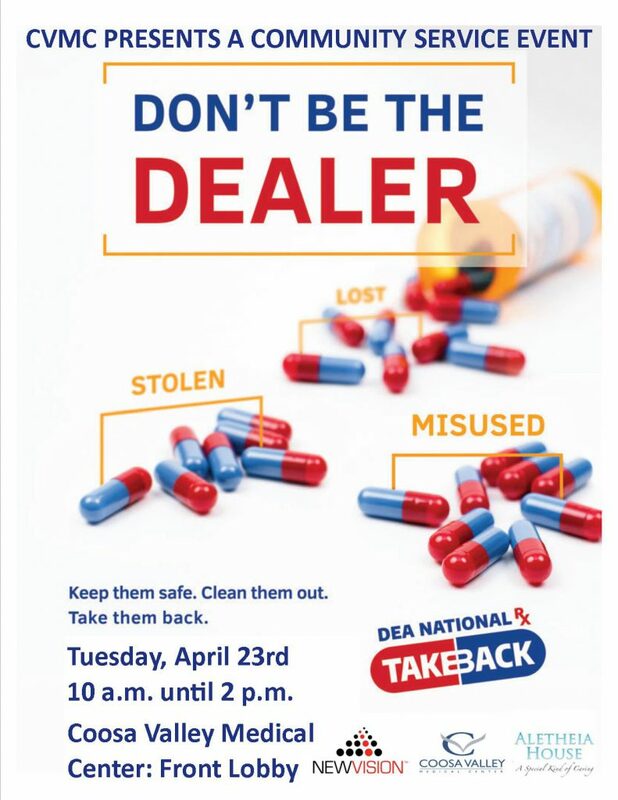 Join us on Tuesday, April 23rd from 10:00 am until 2:00 pm for Prescription Drug Take Back Day at CVMC! This event provides an opportunity for Americans to prevent drug addiction and overdose deaths.